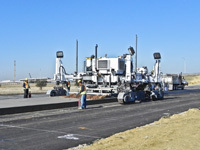 Ripon, CA, March 7, 2012 – Guntert & Zimmerman (G&Z) is proud to take part in Intermat 2012 (Booth – 4 J 051) with its New S600: Multi-Purpose Concrete Slipform Paver. The S600 has taken the US market by storm since its domestic introduction at CONEXPO/CONAGG 2011. Intermat 2012 gives the international market its first opportunity to see the G&Z S600 in person. Where Does the G&Z S600 Fit in the Market? As the market continues to make the shift from large dual lane, mainline paving jobs to smaller cut-up projects, the S600 is designed to fulfill the need for a small or medium, versatile, multi-purpose paver that retains the ability to achieve good smoothness numbers. The S600 has been engineered to make contractors more productive. Its time saving options provide the contractor with the opportunity for more paving hours in the day and more paving days during the season. 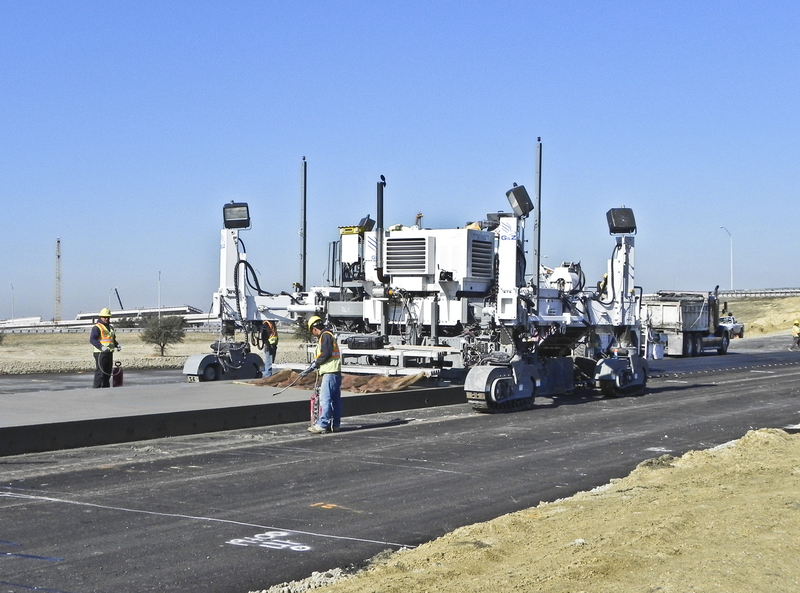 The S600 Multi-Purpose Concrete Slipform Paver is in a “Hybrid Class” of its own by straddling both the “Single Lane” and “Mid-Size” paver classes. It is ideal for city streets, secondary roads, highway and airport paving, as well as a wide range of other applications such as barrier walls, off-set paving and zero or minimum clearance paving, and canal lining. Now paving contractors can have it all in one paver. The G&Z engineering department is continuously designing new and innovative attachments and features for the S600. S600: Economical. State of the Art. Multi-Purpose. The S600’s design has redefined what mobility means for a single lane/utility paver without sacrificing the same performance advantages contractors have come to expect from G&Z’s large and mid-size pavers. The patented optional AccuSteer and SmartLeg features save the contractor hundreds of hours in on site maneuvering, loading and unloading the paver as well as reducing hand pours. Utilizing G&Z’s time tested and rugged paving kit design, the S600 is capable of achieving excellent smoothness numbers on the toughest IRI and zero blanking band projects using conventional stringline or 3D stringless references. The G&Z S600 features a patented double telescopic tractor frame, access walkway, and hose hinges for a nominal working range of 8'-0" to 22'-0" (2.44 m to 6.7 m) with up to 7’-0” (2.13 m) of telescopic ability per side - the widest range in the industry. With the addition of optional bolt-in tractor frame extensions, the S600 tractor can extend up to nom. 24'-0" (7.5 m) with a dowel bar inserter (DBI) with hydraulic vibrators or 26’-0” (8 m) with electric vibrators and 29'-5" (9 m) without a DBI. The paving kit, front tie bar inserter and many of the other optional attachments on the S600 are interchangeable with other G&Z paver models, giving the contractor a more versatile fleet of paving equipment. The paving kit is available with G&Z’s patented and time saving TeleEnd: Telescopic Paving Kit End Sections which allow hydraulic telescopic ability of 3’ (915mm) per end or 4’ (1250 mm) with the New TeleEndXL.